This week my partner and I have explored Panama. It has turned out to be a great place to visit. In comparison to Ecuador, the country is more modern, English is widely spoken, and American-style amenities are readily available. But while doing my research I was surprised that some information that would have been helpful was missing. Panama's new rapid transit system is a single-line subway that runs from the Albrook Mall to San Isidro. At each station there is an electronic kiosk where you must pay $2 to purchase a permanent fare card (called Sistema Integrado de Transporte Publico Urbano). You also have to load funds at this kiosk. Each fare on the Panama Metro is 35 cents ($.35) as of January, 2016. My advice, if you plan to use public transportation, is to buy your card using a $5 bill and select the option to have the $3 balance loaded to your card. To pay, you hold your card over a QR reader at the turnstile, which turns green to let you know you swiped the card properly. You do the same thing when you exit the rail, so keep your card handy (it only charges on the way in though). Our hotel, the Holiday Inn Express in the financial district, was about a five minute walk to the Iglesia Del Carmen stop on Via Espana. Originally we were going to rent a car, but the Payless counter was closed when we arrived at 3 AM (the website said it was open 24 hours). I have heard that taxi drivers will overcharge tourists, so using Uber was an easy choice. The same app I use in the United States works in Panama. To get from the Tocumen Airport, I paid a $25 base fare and $2.65 in tolls on the Corredor Sur. That's a little high, but slightly less than a taxi. Once at our hotel, Uber was super cheap. Minimum fares in the city are just $2. As of January, 2016, there is an $.80 base charge, $.10 per minute and $.20 per kilometer ($.32 per mile). This is ridiculously cheap. The added convenience of pre-entering your destination reduces any communication problems (our driver spoke some English). Plus you don't have to worry about being charged gringo prices. Close to our hotel, on Via Espana, we found the Rey Supermarket. It is an American-style supermarket, with a bakery, coffee shop and pre-packaged deli sandwiches. Grocery prices were clearly marked, and there was no tax on food. We did pay a 10% tax on beer. Balboa Beer, one of the national brands, was $.64 per 12 ounce can. Just about every American-brand hotel has a presence in Panama. You can find lower prices if you shop other hotels and hostels, but we like the comfort of an American brand when we spend the entire day in unfamiliar settings. Our hotel was somewhat less expensive than it would have been in the United States. The Holiday Inn Express was a newer property with modern amenities. The weekday rate was $78 and weekends were $73. I paid in advance for a lower rate. I was particularly impressed with the breakfast buffet, which was included in the rate. There were several hot items, including scrambled eggs with pork, two types of potstickers (weird for breakfast, but tasty! ), yucca patties, pancakes, and a couple of marinated meats. There were also several fruits, cereals and juices. This was far superior to the breakfast you would get in the U.S. There were a variety of options. I saw several American brands, including Subway, KFC, McDonald's, Domino's, Taco Bell and Wendy's. Local chains included Pio Pio (just like KFC) and Niko's Cafe. If your English is limited, Niko's is easy because you select what you want from a cafeteria line. 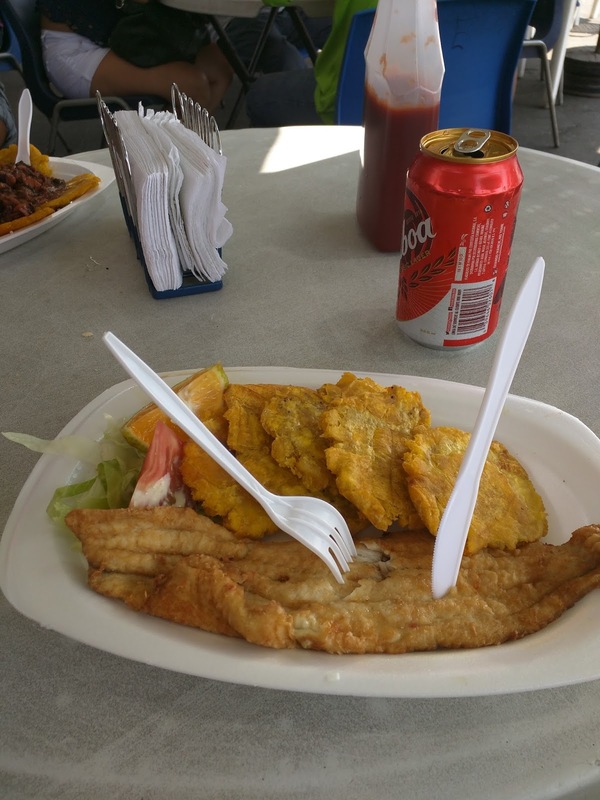 Overall I didn't think food prices were drastically different in Panama than they were back home. I was disappointed by how bland some of the food was. Back home I am a heavy hot sauce user, but none of the restaurants offered it, not even KFC. We bought a combo ticket for the Frank Gehry Biomuseum and Panal Canal tour ($25 each). Tickets just to the Biomuseum were $22, so this was a great value. It isn't advertised, so you have to ask for the combo ticket at either location. The Uber between the two was $5, and our driver had a newer car with leather seats. He told us, in English, so much about Panama's history. 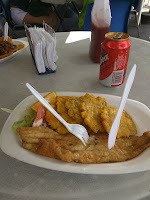 We Ubered from the canal to the Albrook mall (less than $4) and took the subway back to the city ($.35) after a quick, late lunch in the mall food court. We spent several hours walking Casco Viejo. It is a world heritage site and many of the buildings have been restored to their original splendor. We took the subway to the Cinco de Mayo stop; it was a short walk from there to Casco Viejo. We toured a religious artifact museum (free) and took photos of the cool buildings and the boardwalk. Then we had a late lunch at the fish market. We visited the Metropolitan National Park, which is within walking distance of Albrook Mall. 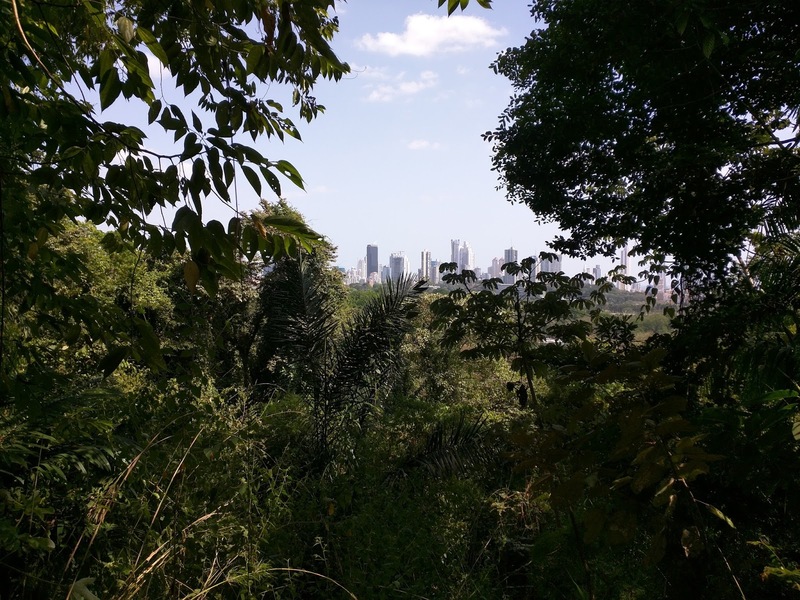 We hiked two of the trails and caught an amazing view of the Panama skyline. I peaked my head into the Continental Casino on Avenida Central Espana. The casino was small, with just a handful of table games, electronic roulette and slots (no video poker). You have to obtain a card to play any games, and there is a 5.5% tax on anything you cash out from the card. Fortunately I won a few dollars. The casino was mostly empty. 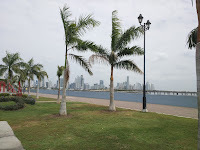 Panama is a great place to visit if you are looking for easy international travel. We flew Spirit from Tampa, connecting in Fort Lauderdale. The round-trip tickets were $182 each. I highly recommend using Uber to get into the city (assuming you arrive in the middle of the night like we did, as the buses weren't running then) and the subway whenever possible. Many people speak English and a lot of the signs are bilingual. The only part that disappointed me was the bland food.